Kat speaks with author, writer and daughter of Jamaican immigrants, Patrice Gopo. Kat and Patrice chat about the beauty and struggle of life, faith and being a Black woman in America. If you’re a creative, you’ll especially enjoy this conversation as Patrice shares some beautiful nuggets of wisdom about the process of creativity. Music by Lee Rosevere from FMA. 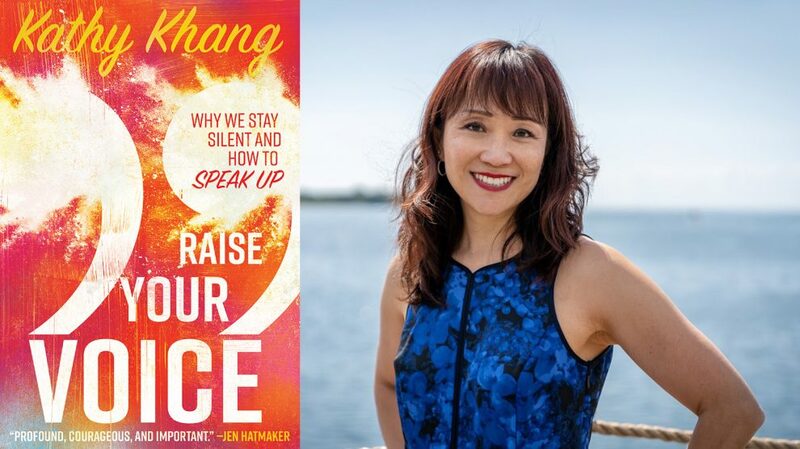 Kat chats with writer, speaker, coffee drinker, yoga teacher, and author of Raise Your Voice: Why We Stay Silent and How to Speak Up, Kathy Khang, about Esther, identity, assimilation, belonging and the power of names. They also chat about niceness vs. kindness, the disruptive Gospel and about what gives them hope. You can find follow Kathy on Instagram and Twitter @mskathykhang and visit her website www.kathykhang.com. In honor of Black History Month, Kat speaks with singer, songwriter, recording artist and scriptwriter, September Penn about Sounds of the Civil Rights Movement: The Power of Song. In this episode, you’ll get to hear about music’s role in racial reconciliation as well as original songs from September’s production. Visit the production website here. You can find Karen on Twitter and on her website. Music from Lee Rosevere from FMA. In this episode Kat chats with Neelou Sattarin about patriarchy, being Iranian, and what it was like to start a new life in America. Kat also chats with president of the Center for Biblical Equality, Dr. Mimi Haddad, about being Lebanese, Jesus’s interaction with women, and patriarchy across the globe. Find Dr. Mimi Haddad’s work here at CBE International website. Check out Nick and Allison’s blog and podcast: Split Frame of Reference. Mimi’s interview with Mark Labberton on Gender Equality can be found here. In this episode, Kat speaks with Esperanza Gene, a hilarious mixed-race African-American Dominicana. Esperanza is a student at Fuller Seminary and is the face of a recent protest that took place on behalf of Black seminary students. Kat and Esperanza talk about intersectionality, colorism, privilege within Latinx communities, protest, and the #SeminaryWhileBlack movement. Esperanza Gene is a Detroit native of proud Latina and African American descent. She lives at the intersection of art, activism, academia, and pastoral ministry. She received her BA in Theology and BA in English Professional Writing from Oakwood University, and is currently completing two degrees at Fuller Theological Seminary: MA in Theology and MA in Intercultural Studies. Esperanza is the Project Assistant for the Multicultural Youth Ministry at Fuller Youth Institute, where she creates research informed practical resources for African American and Latino congregations. In all things she is deeply guided by practical theology that responds to social problems. 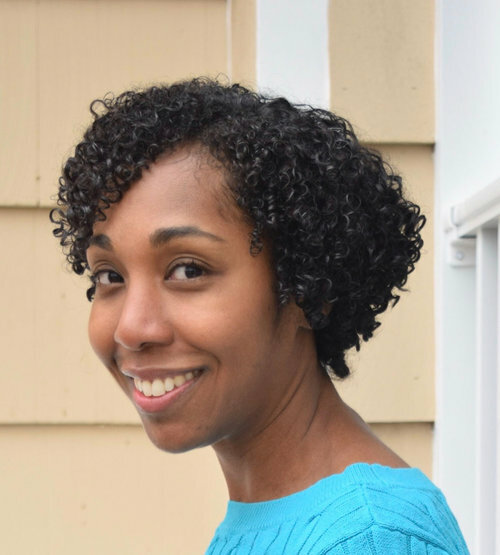 Her priorities and passions include racial equity, social justice work, interdisciplinary research, faith and justice re-integration, wellness, and humanization of marginalized peoples through story. Aside from work she's a foodie, gymrat, hiker, and fashion-lover with eternal wanderlust and an even longer reading list. Follow Esperanza on Twitter. In this episode Kat chats with four different women in four different stages of life about marginalization, Christianity and what it looks like to empower the next generation. For the first part of the episode you’ll hear from two Filipinas: Francesca De Castro, a high school senior who shares about what it was like to move to America, and Joyce Del Rosario, a PhD candidate who talks about her work involving Mary, Jesus’ mother and Mary Magdalene. You’ll then hear from Sharyl, a college student and DACA recipient, who also shares her story about moving to America, and lastly, from her professor, Heather Thompson Day, who's also an author, speaker and advocate for young people of color. Follow Joyce on Twitter and visit her website. 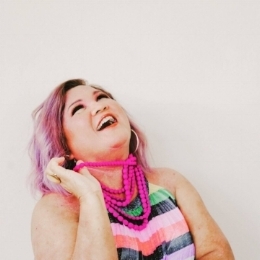 Follow Heather on Twitter, Facebook, and her blog. Also check out Envision Magazine. For this first episode, Kat chat with pastor, preacher, interpreter and cross-cultural trainer, Inés Velasquez McBryde. We talk about what it’s like to be a Latina pastor in Arkansas, reclaiming that Abuelita Theology, and what “decolonizing” our faith looks like. Follow Inés on Twitter and click here to listen to the full sermon from the episode, as well as others she’s preached. Logo by Julia Hendrickson/Music by Lee Rosevere from the Free Music Archive.